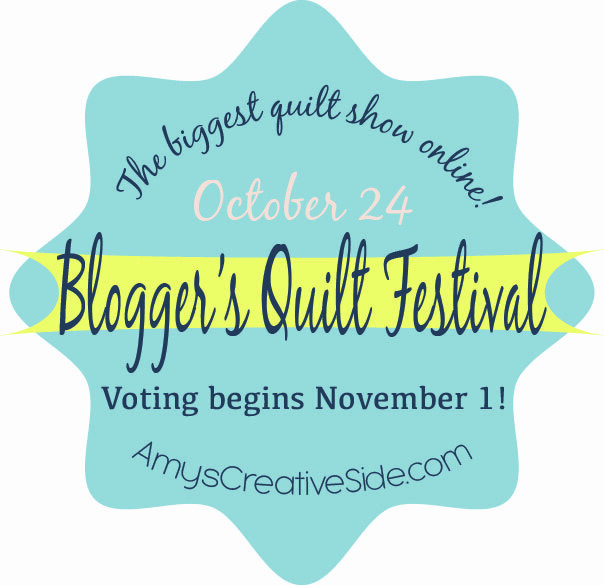 It’s time for the blogger’s quilt festival! This event is an online quilt show. Here’s how it works: quilters who have blogs enter up to two quilts for the show. They are judged and the winners receive prizes. All entrants have a chance at the random drawing to win participation prizes as well. 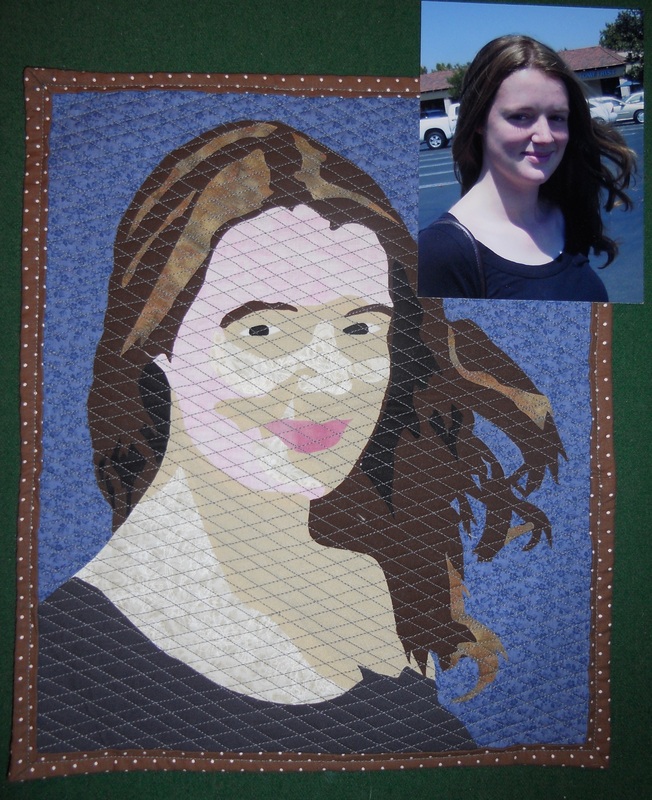 My entry this year is a self-portrait for the mini quilts category. One thing I tell my customers when selecting their inspiration photograph is to choose one that they’d display. It can have good composition and lighting but most importantly be something that gives them the feels. This photograph was taken by my now mother-in-law after she took me to the salon to get my hair cut and dyed for my wedding. I had been blonde for a while but wanted my natural hair color for the big event. I remember feeling special, beautiful, and loved as this picture was snapped. This photo is featured on my business cards these days. My quilt is literally the “face” of my quilting business and represents both what I can do artistically and how making art makes me feel. I encourage you to go check out the other entries. I’m headed over there now and am sure to be inspired! Vote for your favorites here: http://amyscreativeside.com/bloggers-quilt-festival/ The links for each category are under the quilt festival logo. The categories are: Mini, Small, Large, Appliqué, Art, Hand Quilted, Home Machine Quilted, Modern, Original Design, ROYGBIV, Scrappy, and Viewer’s Choice. This entry was posted in Critiques, Custom Work, Inspiration, Portrait Art Quilts, Quilt Shows, The Business and tagged art quilt, blogger's quilt festival, blonde to brunette, business cards, custom quilts, customers, entry, feeling beautiful, mini quilt, photo displays, photo quilt, photograph inspiration, prizes, quilt entry, self-portrait, viewer's choice, vote for quilts, wedding on October 25, 2014 by quiltartbymegan.